An one day national – level workshop was organised by the Computer Science and engineering department on 18th July 2018. 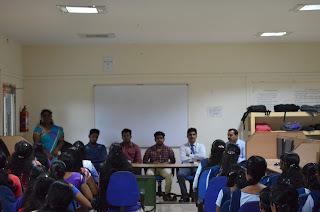 The workshop was based on the topic of Website Design, Development and Hosting which was conducted by Mr. Mohammed Shaheer & his teammates, from MATT Engineering Equipments, Nagercoil. This program focused on web development, the skills and education needed for an web developer, career opportunities, current market trends, and skills for web development professional. As it was a part of their curriculum it was an added benefit to the student community. The beneficiary of the workshop includes not only 17 intra college students but also 40 inter college students along with their faculty members.